Posted by Brittany Bosher on Tuesday, April 25th, 2017 at 4:12pm. 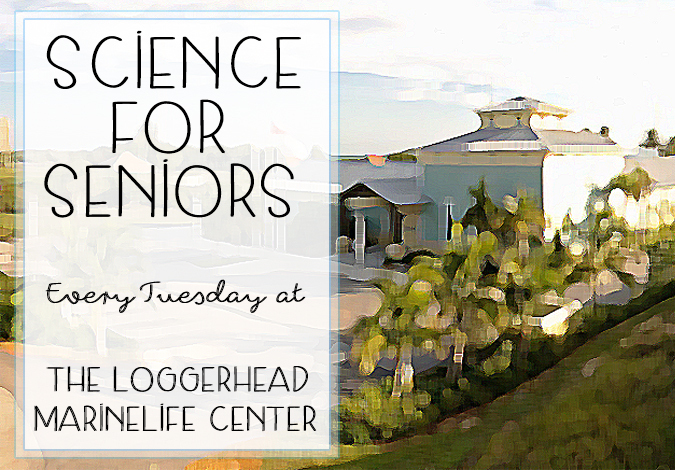 Every Tuesday, at the Loggerhead Marinelife Center in Juno Beach is a new program for seniors in the area, called “Science for Seniors.” Science for Seniors is an incredible lecture series discussing health and science. What makes this program so impressive is its leader, Dr. Brown of Harvard University and Tufts University of Medicine. Dr. Brown has some incredible knowledge and experience to share and some great tools to help get the participants involved in the lecutres. The Science for Seniors lecture lasts one hour and is free of charge. But make sure to reserve your seat because the lectures can fill up quickly. For more information please visit the Loggerhead Marinelife Center’s website www.marinelife.org or email Hannah Campbell at hcampbell@marinelife.org.